Want to see all the technologies used by makezine.com? 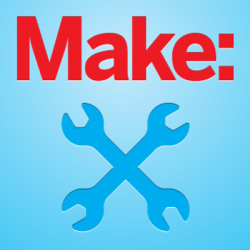 MAKE Magazine is a bimonthly do-it-yourself (DIY) magazine published by Maker Media, a global platform that connects makers with each other, products and services, and its partners. MAKE Magazine was launched in February 2005 in Sebastopol, California. For a quick look at additional technographic info on makezine.com or any domain on the web, download our Chrome Extension. Check out our help article to see how Datanyze Insider can help you.